Azkar Uddin Khan is currently pursuing MBA in Marketing from International Institute Of Business Studies, Noida. Robots can bring about a future where we don't have to do boring, everyday tasks. But for now though, the only androids you'll find are Android smartphones. The concept of creating machines that can operate autonomously dates back to classical times, but research into the functionality and potential uses of robots did not grow substantially until the 20th century. But today, robotics is a rapidly growing field and many startups have come up with their innovative ideas. DESCRIPTION: The Delhi based startup Team Indus is a for-profit organisation led by Rahul Narayan, a Delhi-based IT professional. The team of professionals from various backgrounds science, technology, finance and media is the only Indian team leading the charge of India to win the Google Lunar X Prize mission announced in year 2007. The mission often known as "Moon 2.0" is a challenge that calls for participating teams to design and land a robot on the Moon. The Robot is required to travel more than 500 meters on the lunar surface and send feedback to earth. 1. 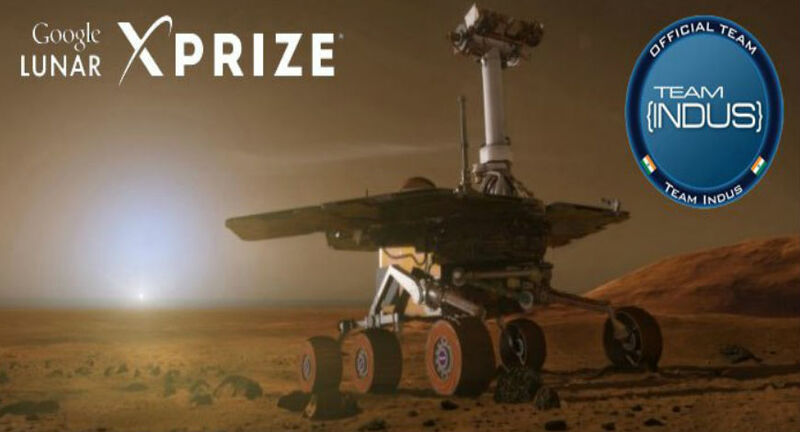 In 2015 January, The Team Indus were the winner of Google Lunar XPRIZE Milestone Prize and were awarded $1 million for having successfully completed a test of their landing system. It was among five out of 29 teams to have been awarded for clearing a specified test. 2. In 2012, they have successfully completed building the terrestrial version of their rover “ECA 0.8” and lander “HHK 0.8”. DESCRIPTION: :- The Kochi based startup Sastra Robotics aims to develop and market novel and high end robotics technologies for a wide range of applications aimed at the welfare of humanity. It is an innovative forerunner in providing cost effective advanced robotics and automation services. The company's focus is on mobile robots, tele-presence robots, robot interfacing and simulation software, robot APIs, open source robotic libraries and a prosthetic robotic arm. Sastra's SCARA robot can perform repetitive tasks, for uses such as moving products, milling, or even 3D printing, and is being used by Bosch to test touchscreens. 1. In 2016, they have won the HRATC 2016 International Robotics Competition in ICRA 2016. 2. Only three years since its launch, Sastra has collaborated with three other pioneering companies in the same market- Switzerland based Cyberbotics, Korea based Dongbu Robot and US based Corobot. 3. In 2012, they were selected as one of the Top 5 Most Promising Start-ups by India’s Start-Up Village. DESCRIPTION: NavStik Labs is a technology startup that is working in the space of Autonomous systems. 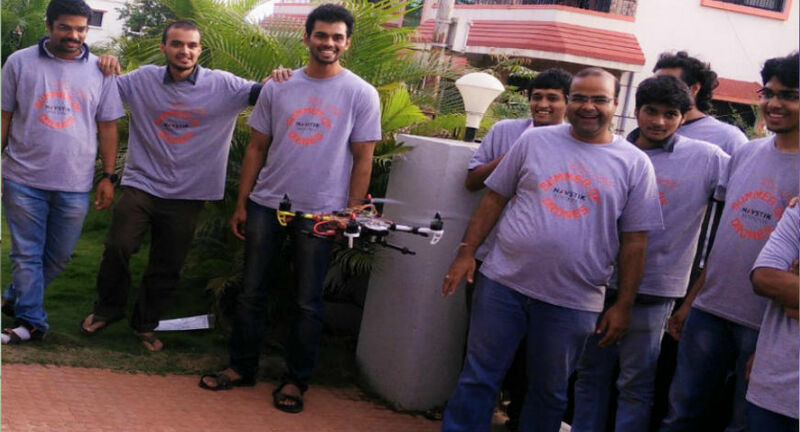 Based out of India, NavStik offers the drone industry a platform for commercial drone application development - FlytBase. FlytBase - a platform for commercial drone applications. It consists of FlytPOD - electronics hardware and FlytOS - software stack, together forming Brain for the drone. FlytPOD is a flight computer capable of heavy computation for onboard AI algorithms like detecting object of interest with Computer Vision techniques. 1. Navstik successfully conducted a Beta program for its platform over the last six months and has shipped its product to Beta customers globally across more than 12 countries. 2. NavStik was recently awarded ‘Startup of the year 2016 - Technology’ by Startup Leadership Program. 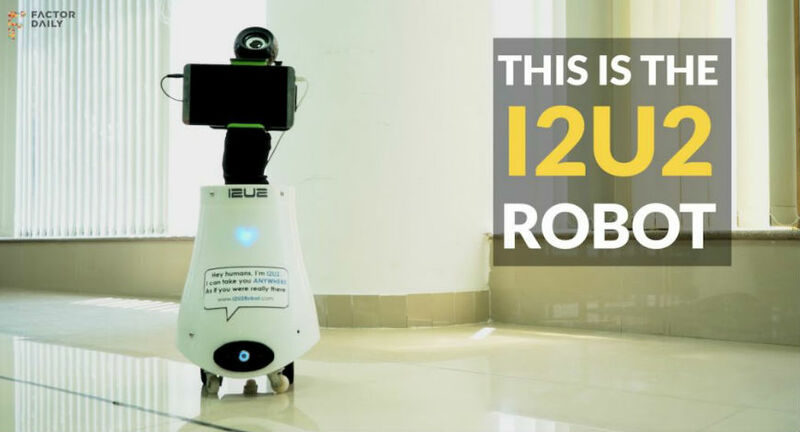 DESCRIPTION: i2u2 is a telepresence robotic companion - it allows you to log into it from any compatible iOS, Android, Windows device, and take control of it, from anywhere in the world. It is a robotic chassis that converts any internet enabled smartphone or tablet into a smart, video enabled, navigable, telepresence robot. It allows a family member to log in remotely via a smartphone app and be "present" at home via the robot. This telepresence means freedom of motion through the house and freedom to communicate via video with anyone or anything in the house. ACHIEVEMENTS: Currently, the I2U2 Version One is available by invite only on its website. DESCRIPTION: Mukunda Foods Pvt. Ltd is into the design & development of automated food equipment for use in the Indian food retail segment. Bringing in automation into Indian food products is the focus of Mukunda Foods. The Dosamatic is a portal table top model priced at Rs. 1.5 lakh, and can make up to 50 dosas an hour. It's not something you're going to need at home, but a restaurant, or some other facility which needs to prepare large quantities of food regularly, could benefit greatly from this robot. 1. In June 2012,Mukunda Foods participated in a startup contest called VenturaFest in Chennai and won the Best Business Plan Award. 2. In October 2013 Mukunda Foods received a funding of about Rs 1 crore from Indian Angel Networks. DESCRIPTION: Robosapiens Technologies Pvt. Ltd. is India's leading end to end and eminent training provider company, which focuses on education solutions, covering Robotics Education and doing Research & development in Robotics, embedded Systems, Quadcopter etc. The basic objective of the organization is to generate a need for robotics education among engineering Students and schools in India and become a name synonymous with robotics education and related events in the country by providing the most comprehensive and fulfilling services. DESCRIPTION: Founded by ex-iRobot and Carnegie Mellon alumni, Omnipresent has developed UAVs and river cleaning robots, apart from robots for home and health care. Omnipresent Robot Tech is India's leading robotics, industrial UAV/drone and video analytics solutions provider. They build robots for industrial inspections and defence and the software that drives them. Using computer vision, machine learning and virtual reality, they are able to provide their clients with unsurpassed visual analytics and actionable insights. 3. Omnipresent has received Young Entrepreneur of the Year Award 2012, at Enterprise Asia. DESCRIPTION: Milagrow HumanTech is the No. 1 Domestic Robots company in India and a fast growing brand in the fiercely competitive Tablet PC space. Through Milagrow HumanTech you can get the fastest access to a wide range of technologically advanced products at the most affordable prices. Milagrow has set up its HumanTech division which has the objective of empowering individual humans and families across the globe with solutions that deliver to them the latest technologies. 1. 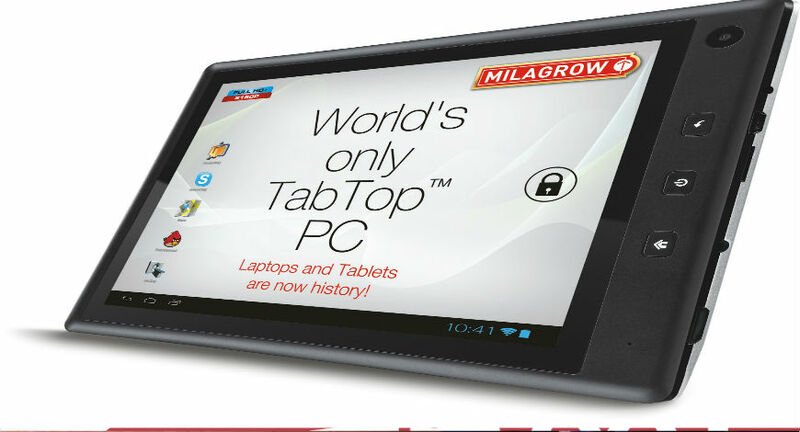 In October 2011, Milagrow HumanTech had entered the Tablet PC market with the World's first TabTop PC. 2. 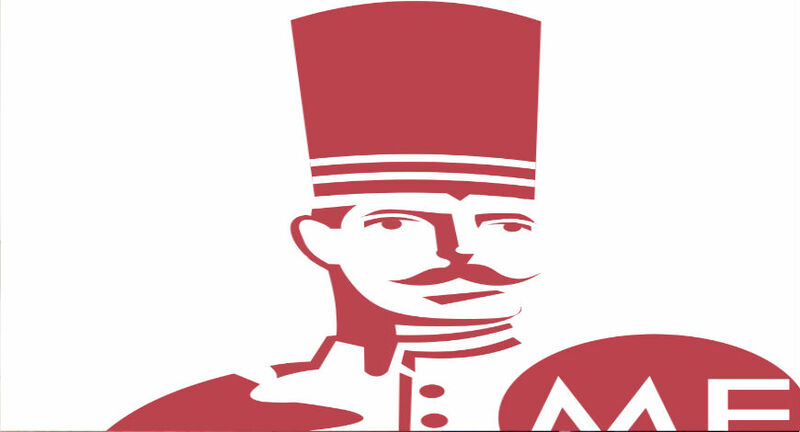 In January 2012, Milagrow launched the World's Leading Home Cleaning Robots in India. 3. In 2012, Milagrow has launched the World’s First Body Massaging Robot.